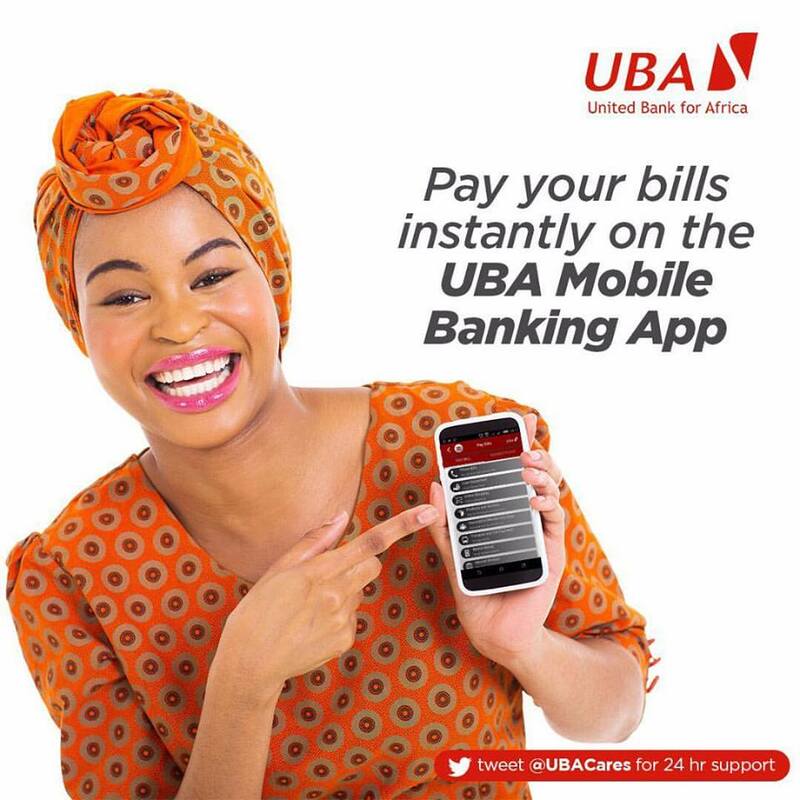 A new and easier way of paying for goods and services is here courtesy of leading financial services institution in digital banking offerings in Nigeria, and across Africa, United Bank for Africa (UBA)Plc. The bank is changing the payments landscape in Nigeria with the introduction of contactless payment cards. 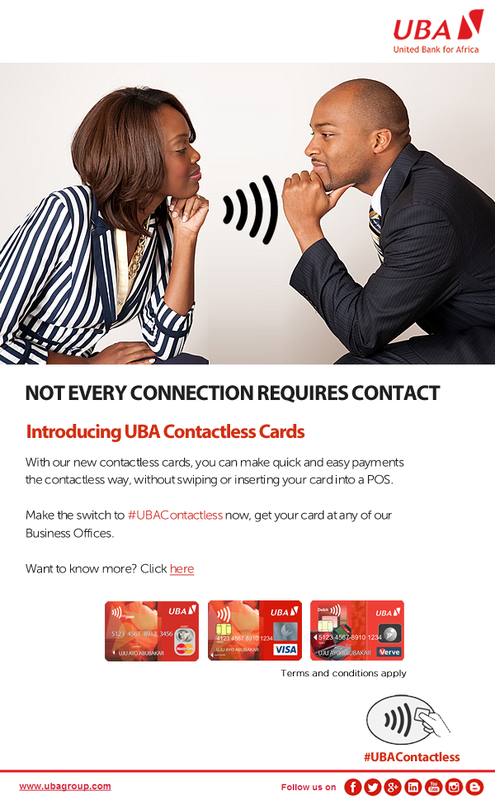 Contactless payment cards offer UBA customers a more convenient hassle-free way to pay for goods and services. It is the latest innovation from the digital banking division of pan-African financial services UBA, which has built its competitive edge around offering the very latest in convenient banking options to its customers. Contactless payments are fast, easy and secure. It is a regular payment card with the added advantage of NFC technology. “With our contactless cards, you can make payments for everyday essentials and other things that money can buy the contactless way” says Dr. Yinka Adedeji, Divisional Head, Digital Banking. The new UBA contactless payment cards works with Near Field Communication (NFC) enabled POS and ATM terminals by simply touching the card against the reader without slotting it into the terminal. Customers can also use the cards to pay on regular POS terminals. “UBA contactless payment cards can be used across all the channels where you use your regular card – ATM, POS and Web” explains Dr. Adedeji. “Ideally, for low value transactions, contactless payment card holders are not required to input their PIN but the Central Bank of Nigeria (CBN) currently mandates that all transactions on the POS require PIN entry,” says Mr. Adedeji. “So, for now, customers will still be required to input their PIN even for low value transactions. However, contactless payment cards still offer a superior level of convenience compared to the traditional payment cards” he explained. The cards are currently being issued at all UBA business offices across the country. UBA is one of the largest and most innovative card issuers on the African continent. The bank has won several awards and recognitions for offering innovative and convenient payment options to its customers. A highly diversified financial services provider, UBA remains one of the largest financial institutions in Africa, with business offices in New York and Paris and a subsidiary in London. UBA Plc controls significant market share in 19 different African countries. The Group has a strong retail franchise across the African continent offering its more than seven million customers a bouquet of products and services tailored to meet their different financial needs backed by a cutting edge e-banking platform that enables secured and convenient real-time online banking services.